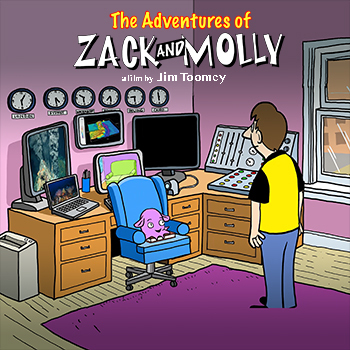 Zack is more interested in the small world of his smartphone than the larger world around him. 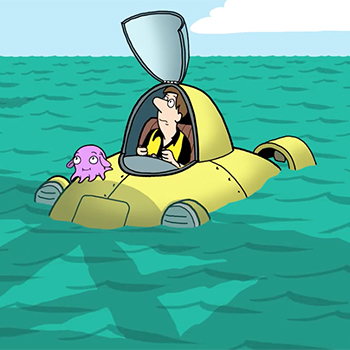 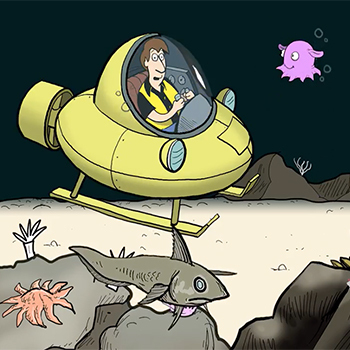 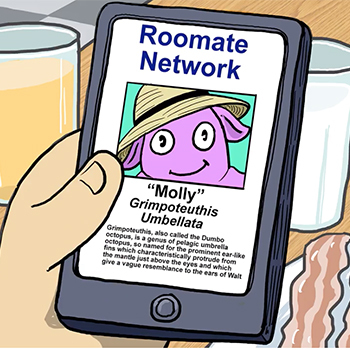 His online request for a roommate is answered by Molly, a tech-savvy dumbo octopus on a mission to tell the world about the importance of the deep ocean. 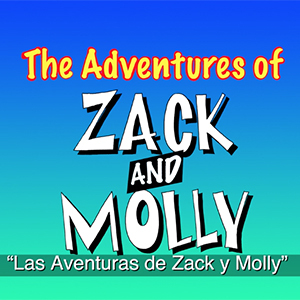 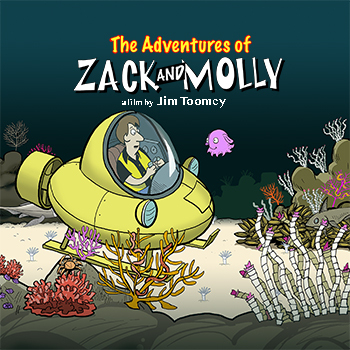 The Adventures of Zack and Molly is a 3-part short video series about the adventures of an unlikely duo.